I just want to thank you for maintaining this site -- it has been such a great source of information for my new husband and me. Your family seems like such a hoot, too! 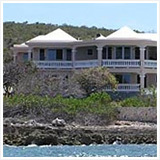 Anyway, we will arrive in Anguilla on May 5, after spending four days in St Martin. We will stay four nights at Cap Juluca. 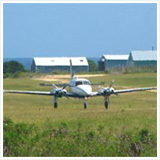 It will be our first time to Anguilla, so we are extremely excited! I will report back to you on our trip. Anyway, thanks for being so informative, not to mention entertaining! PS. He he our family sure is wacky! My wife and I will be on your beloved island in less than three weeks for the first time. We didn't know anything about it but, fate has its way... We booked a place in Rendezvous Bay and began searching for information. Discovering your site was amazing. I must say, I have never seen a site on any subject that has been done as well as this. I just want to congratulate you and to thank you, I believe you answered every question I could have thought to ask. We really can't wait to get there now. Keep up the great work, we'll get back to you soon! Nori's Reply: Thank you so much for your very kind and warm words Jim and Gloria. You will both have an amazing time! Rendezvous Bay is a beautiful beach... Many people think it is Anguilla's most spectacular beach, shining an "extra special" shade of blue. Don't forget to drop by Bankie Banx's for lunch, on the far Western end of the beach. It's a hopping place on Sundays! 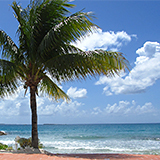 Have a safe and happy vacation, I would love to hear about your Anguilla travels when you get back! 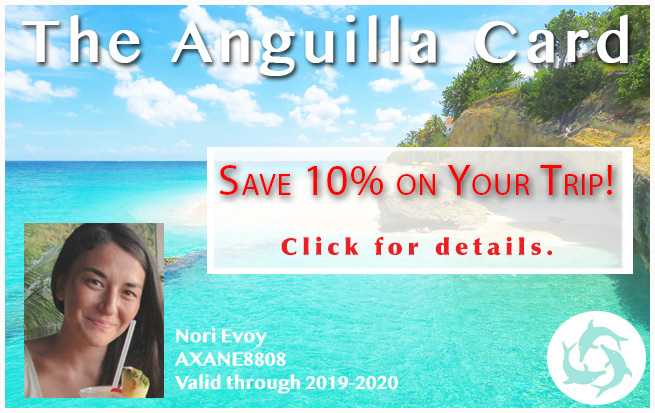 I've planned a trip to Anguilla, and after reading your site, I wonder if I shouldn't extend my stay by a month or a year! Thank you so much for your reviews of the local restaurants. We're staying at Cap Juluca, but I always look to eat outside of a resort. I love local restaurants, and learning about different locales. Thanks to you, I have 5 places picked out for the 5 nights we'll be there. Barrel Stay, Palm Grove, Trattoria Tramonto, Koal Keel and Straw Hat. Naturally, we must do da'Vida for lunch or Tapas. I'll check back in once we return. Nori's Reply: Wesley, thank you so much for your kind words. Those are some of the best spots on the island! 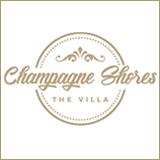 You will love Palm Grove. Be sure to say hi to Nat for us. He is a good family friend! da'Vida is one of our favorites for lunch. It is the best way to spend a beach day in Anguilla, especially with their new beach bar! You can read about the Caribbean restaurant's latest addition here. My parents were ranting and raving over it for days. I'm counting down the days to my visit! We just wanted to say thanks for the great little write up you did on our Anguilla bakery, Geraud's. It was really nice to read. How do you find time to keep the site and visit all these places?! I had checked out the site last year but just fast. Now that we're closed and I have time to look... your site is really incredible! I love Gerauds, I go there the day after we arrive, buy a bunch of pastries and keep them in the fridge, we heat them in the micro each morning and have them on our patio with coffee. Mel and Geraud are sweeties. I'd like to let you know about a link you might be interested in (but I wouldn't be surprised if you know it already! 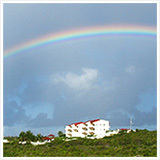 ): http://web.archive.org/web/*/https://www.anguilla-beaches.com. There you can see how your site was at different dates, starting from... 2002! 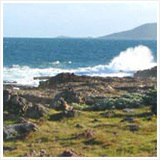 Nori's Reply: Thank you so much for the tip about Anguilla-Beaches.Com Philippe! I had no idea that this existed... So fun to go through the history of the site. Thanks! My wife and I are traveling to Anguilla for the first time next week and the information on your site has been extremely helpful. 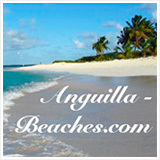 We are very excited to check out all of the beaches in Anguilla. It sounds like you have a great family and I'm very impressed that your site pops up with almost any Caribbean search that I've tried. Again, thanks for the great information! Nori's Reply: Thank you so much for the kind words Chan! I am so happy to hear that my website has been so helpful. 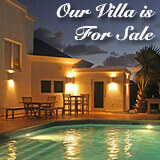 You will love Anguilla! I I will never forget the first time I visited Anguilla. We landed at night, immersed in the island's unique aroma, and that tropical heat. Something I will surely never forget, a place so foreign to me at the time, and so exciting. My appreciation for the island has only deepened from that very first encounter :-) Happy vacationing! I adore your connection to your father. My father and I were very close and he was instrumental in my decisions as well. I've read through many of your wonderful stories and felt we would relate to each other very well. As a matter of fact because of my Daddy I am in the making of my own success Anguilla beach story if you will. I have been approached with a rare but wonderful opportunity similar to yours and your fathers with a large prime beach front property. I read through your fathers tips and am hopeful that with learning from your Anguilla experiences things will go smoothly. I hope your studies are going well! I pray you and your family are well! 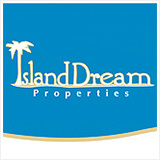 Meads Bay is listed as #2 and they used your website as a source for information! Nori's Reply: Danika, thank you so much for sharing this! I was so excited to be approached by ISLANDS Magazine to talk about Meads Bay! It felt surreal to check my email and see an inquiry from one of ISLANDS' chief editors. What an honor! 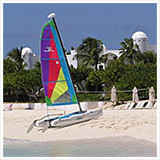 If you read the rest of the print article you will see more of an extensive mention of Meads Bay, including the most rewarding Anguilla activities on Meads Bay, the tastiest Anguilla restaurants on the beach for breakfast, lunch, and dinner, and where to stay. Malliouhana is our favorite 5-star Anguilla resort, and for those seeking a high value spot nothing tops Carimar Beach Club!